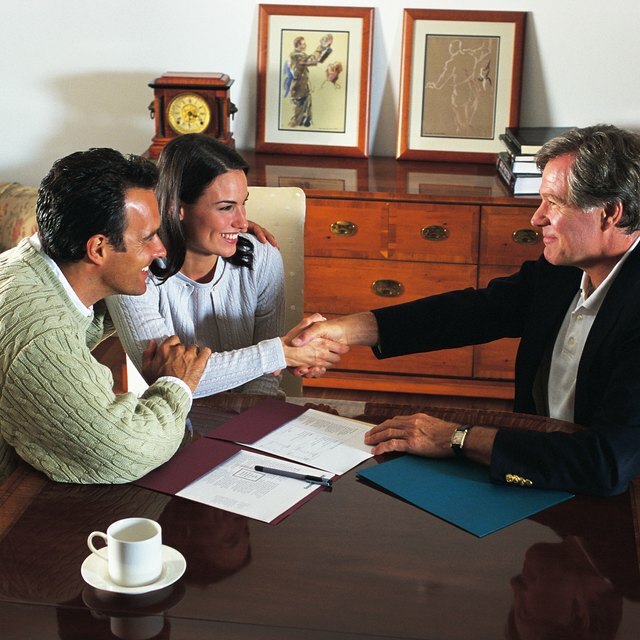 Insurance agents sell insurance policies and financial products, such as mutual funds or annuities, to their clients. These agents often set their own hours, allowing flexible scheduling. They also control their own earnings. The more insurance and financial products they sell, the more they earn. However, being an insurance agent is not all sunshine and roses. Some client expectations are unreasonable, leaving the insurance agent in a position of being unable to meet those expectations. These clients often reference television commercials as the basis for their expected premium amounts and corresponding benefits. These clients sometimes act obnoxious toward the agent, insulting the agent and the insurance company. The insurance agent needs to deal with these customers professionally while maintaining the dignity of his business. Insurance agents meet with clients to review insurance needs, discuss policy options and complete paperwork. Since many clients work during business hours, clients prefer to meet with their insurance agents in the evening or on the weekends. Insurance agents who wish to sell insurance to these clients must be available when these clients want to meet or risk losing the clients. Insurance agents sacrifice family time or social time with friends in order to meet with clients. More insurance companies offer online websites where clients can choose their own insurance options and pay the premiums without meeting with an insurance agent. Clients who work with insurance agents need to schedule and attend meetings with the agent. For some clients, in-person meetings represent an inconvenience. Insurance agents face the possibility of losing clients to the convenience offered by online competition. Some insurance agents need to travel to meet with clients. These agents include insurance agents who deal with corporate policies and agents who sell insurance to rural customers. Insurance agents who work with corporate customers usually need to meet the customers in the customers' offices. These offices may be anywhere in the country, requiring the agent to spend a couple of days on the road each time. Insurance agents who sell policies to rural customers need to meet their customers at locations convenient to them. These locations generally require traveling to the rural communities where the policyholders live.